Thank you! It is a nice change of pace to work on 6mm figures. Glad you like them! 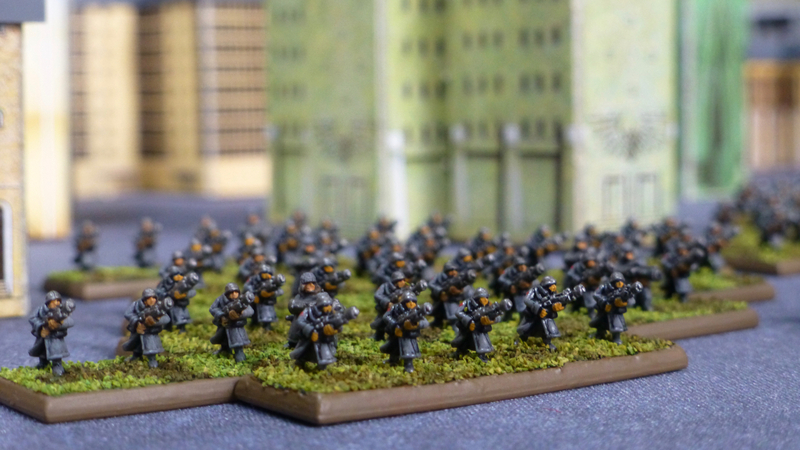 I’m going to add some support units to the company next – Ratlings, Ogryns and heavy weapon squads. Apart from your breathtaking, 100% inaccurate assessment of third ed Epic, this post is 100% win. So about 85% win overall. 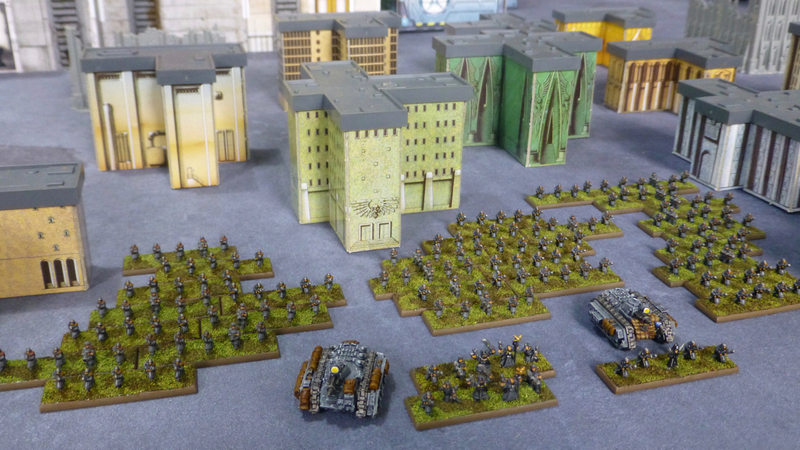 I played against an Epic guard army with regularity in the early 90s, so I have a grudging respect for them… or maybe more for their artillery companies. Your guys look fantastic. I don’t agree with what you say but I would order an orbital virus bombardment for your right to say it. 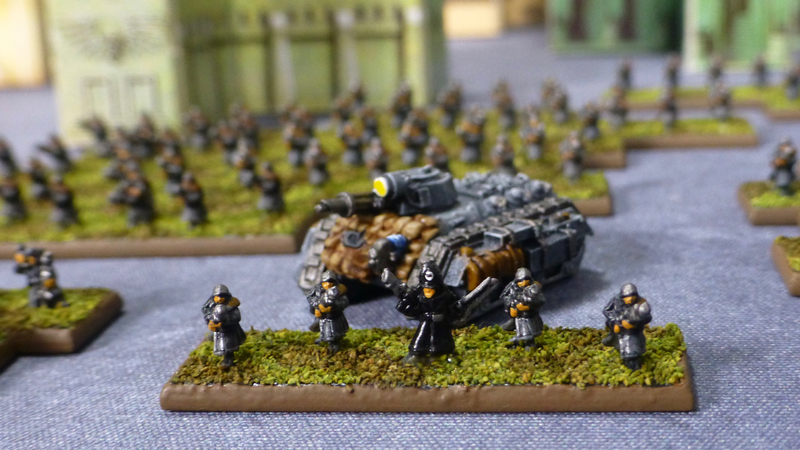 I actually used to play Space Orks but faced off against Imperial Guard myself – talk about meat grinders. Glad you like the style I went with. The tanks could use some colourful insignia but they are so packed full of camo netting, tarps etc. that there isn’t much space to consistently apply them. I played Eldar and Orks back then, and my buddy had Guard and Blood Angels. 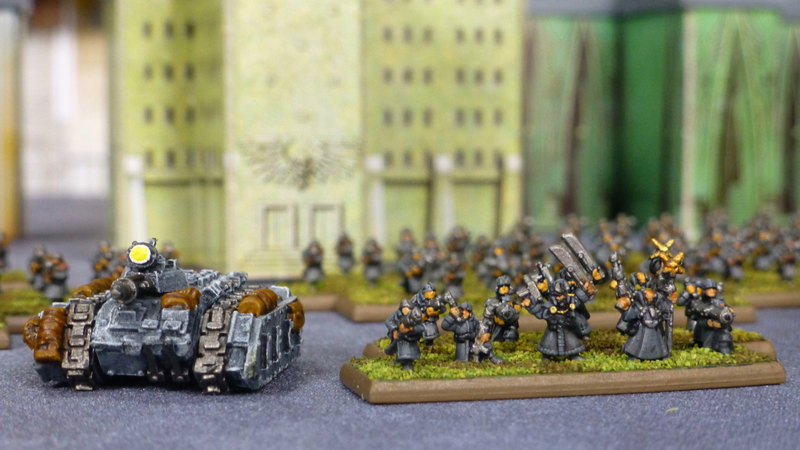 I’m playing Kill Team with the same gent next week, his Guard vs my Orks. I’ve read enough of your posts to know that you are not to be taken seriously. I might pick up the rules for Kill Team, would be nice to work on a wide range of small 40k forces. 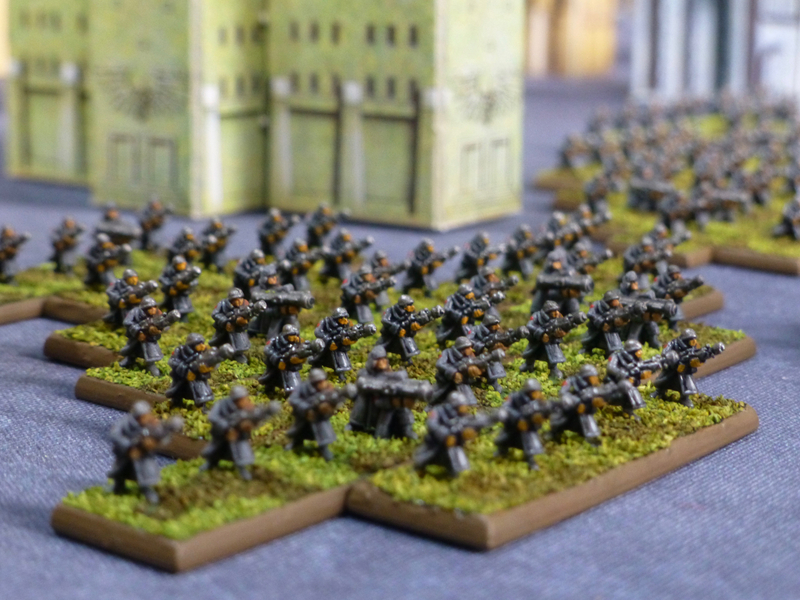 Rather than a wide range of large 40k forces which won’t get finished this decade. Will you be posting an after action report? I will probably take a few photos. I might bash them into shape for a blog post. I get urges to engage in army sized projects from time to time, but it’s inevitably more than I can manage in a reasonable timeframe. Hopefully KT will scratch my hobby itch a bit better. Lovely to see some old-school Epic (Space Marine) era stuff posted up amongst the newer AT stuff. A real shame they went with the new incomparable scale. It would have been very cool to see the original alongside the new – and models like your Guardsmen giving some OG cred to the newer figures. Having some more options to build on existing forces would have been nice, but scale aside, the most I could ever see them release for non-Titans in the future would be some basic troops that serve to give the big guys a better sense of scale, similar to BattleTech. I believe I read (during the long, pre-release phase) that they’re considering armour and infantry depending on how well the new games does. I’m personally not invested either way though – just happy to look at other people’s stuff. Very cool. I had no idea that GW made stuff in this scale. They haven’t for the last 20 years, only just dipped their toes into it again with the new Adeptus Titanicus which seems to be about 8mm but only features the big walkers so far. Man, this is a blast from the past; I was far too young and poor at the time, but it looks nice to field Guard in the numbers they would actually take to the field in! Yes, those 2nd edition companies are pretty big affairs, making for a nice spectacle on the table.